This is a film that Robert Mitchum wanted to star in, but the studio thought it would be a perfect fit for their new talent, Lawrence Tierney. I’m not sure if this would have been a better film if it starred Mitchum, but it sure was a good fit for Tierney. In only his second credited role, Dillinger launched Tierney’s star. This film starts with Dillinger at a bar with a woman. When the bartender will not take his check, Dillinger excuses himself and holds up a store. He doesn’t make it very far before he is arrested. In prison he soon befriends some criminals with a better track record than himself. He is soon released from prison and comes up with a plan to break his new friends out. Once he is successful at this, the gang goes on a bank robbing spree which would capture the American imagination. This film is only 70 minutes long, so it has left out key elements of this story. Public Enemy from 2009 starring Johnny Depp is probably the film to watch to get a more accurate historical prospective. That said I would say Tierney’s more brutal portrayal of Dillinger doesn’t hint at any sympathy for this criminal. Look for Edmund Lowe, Marc Lawrence and the always great Elisha Cook Jr. as members of Dillinger’s gang. This isn’t the greatest film noir, but is worth watching for Tierney’s performance. You can see a noir great in the making in this film. 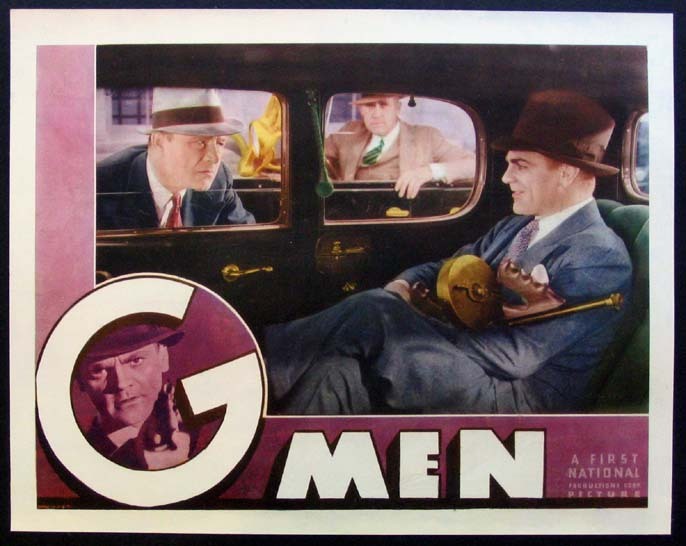 This was a successful B-noir at the box office as well as being a censored film at the time of its release. In fact it took two years before it was shown in Chicago.